These lovely centerpieces were created by M's Flowers for a wedding that took place at Saddlerock Ranch (also known as Malibu Family Wines). The use of browns, oranges and golds created a lovely contrast to the greenery of the surrounding grass and trees. 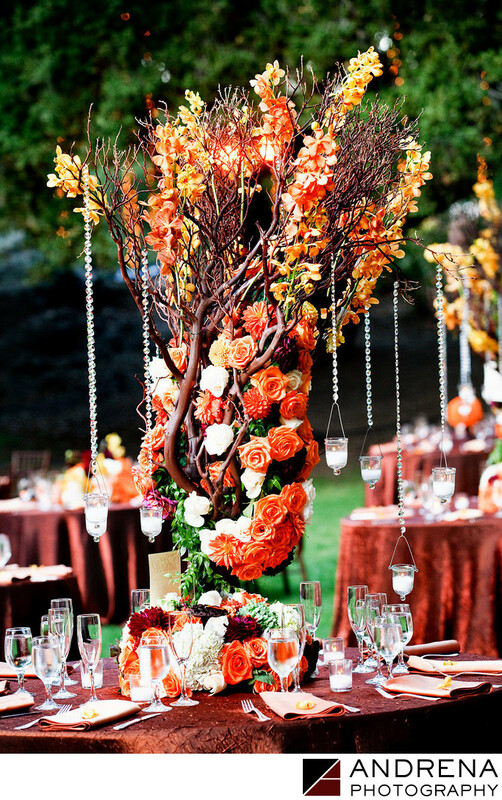 I always love when an outdoor event's color palette complements the surroundings. Wedding photographed at Saddlerock Ranch in Malibu, California.